It was a beautiful spring day here in Michigan. Definately too nice for the likes of our steelhead. Thankfully the broad size of Muskegon River gives a layer of comfort to our steelhead even on the brightest of days. Pictured is Pat with a heavy buck from the early afternoon. The Muskegon is rising again from our recent rain. 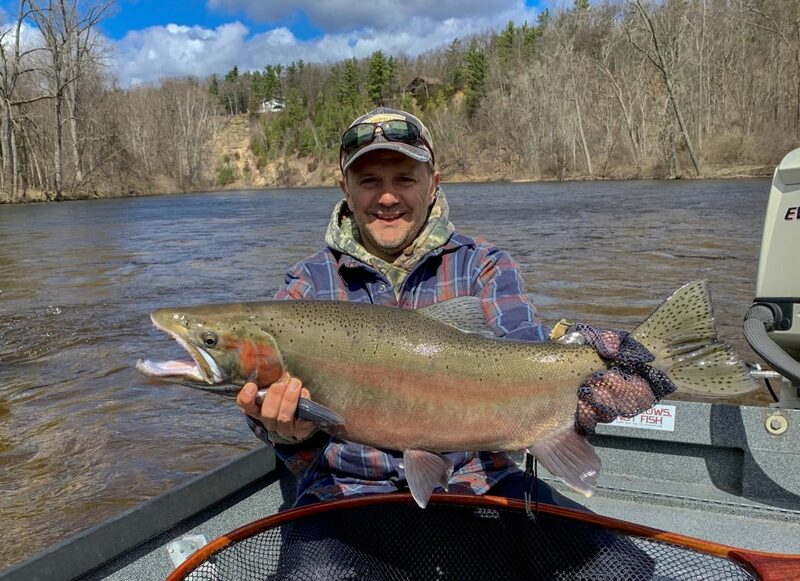 This combined with the slowly rising river temperature should usher a new push of spring run steelhead into the system.